Just because a watch is expensive doesn’t mean that it’s never going to break down. If you want your watch to last as long as possible you is going to need to take care of it. Pretend like it’s a luxury sports car, even then you are going to have to put in some effort to properly maintain it. 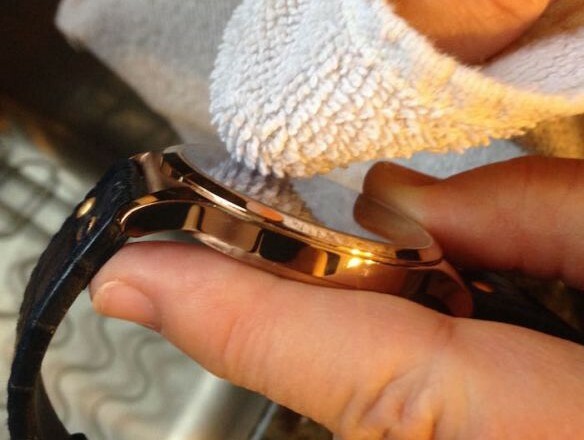 A Swiss watch can have hundreds of parts and constant neglect can lead to parts wearing out. It is a luxury investment and should be frequently looked after. Proper watch maintenance will sustain the life of your watch allowing you to pass it down for generations. If your watch is mechanical, either automatic or manual it will need to be serviced every three to five years. 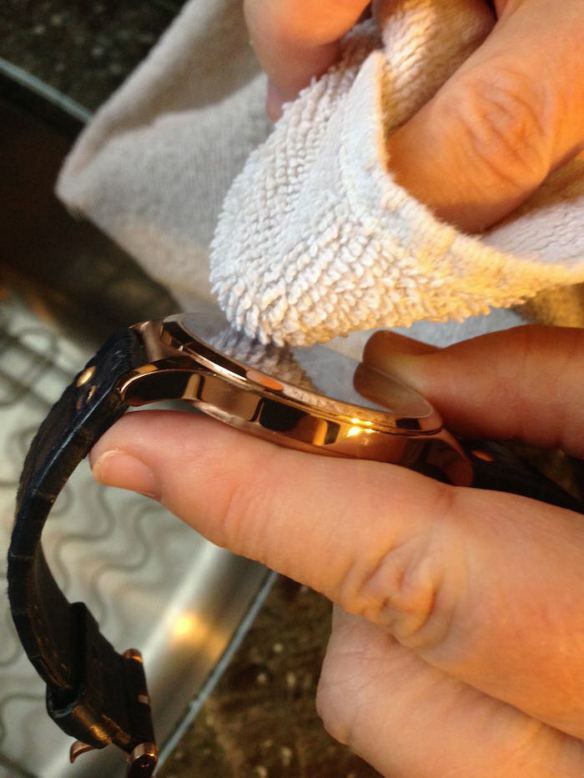 The process consists of the watch getting cleaned and oiled in order to keep it accurately working for years to come. 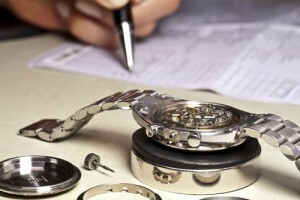 When getting serviced always have your watch taken care of by a repair shop that the watch’s manufacturer authorizes. In this way if parts need to be replaced the shop will have the correct components for it as well as provide you with a warranty service. Don’t get your watch serviced at any place for a “fast fix”, be sure that the shop is approved by the watch manufacturer first, the watchmaker servicing your watch will have specialized training on how to restore your exact watch. Just because it says water resistance doesn’t mean it is waterproof. Most watches aren’t designed to be submerged in water unless it is a diver’s watch which is why it is better to be safe than sorry when exposing your watch to water. Also, the gasket that gives your watch water resistance can wear over time but it can be replaced when you get your watch serviced. Inquire about it. Don’t put your watch in hot water; it can damage the gaskets quickly so saunas and hot tubs are not a wise decision. Don’t expose your watch to seawater, solvents, detergents, perfumes, cosmetics, alcohols, petroleum products, chemicals, and direct sunlight. All of these can cause damage to the case and bracelet. If however it does occur gently wipe the watch with a moistened cloth and then dry it carefully in a well ventilated room. Avoid getting leather straps wet; moisture can damage the appearance. A common mistake people make with mechanical watches is over winding it. A good indication to stop winding is when you feel the crown giving a slight resistance. This means it is at its maximum tension so don’t wind it anymore or it could cause the spring to break! Only turn the hands clockwise when setting the time; turning counterclockwise can damage it. Also, it is best to wind it at the same time every day and set the day/date in the daytime. Yes this is important. A mechanical watch needs motion to keep the lubricants in it working so leaving it in a drawer can cause the lubricants to dry up and can potentially damage the watch’s movement. So if you’re not wearing a watch, especially an automatic, place it on a watch winder when not in use. Those are the best watch maintenance tips I can give you and I hope you keep them in mind. Always take care of your watch if you want it to last. Also don’t skimp out by buying cheap watches, invest in genuine Swiss watches if you want your watch to last for generations. Learn more about quality signs you should look for in a watch.